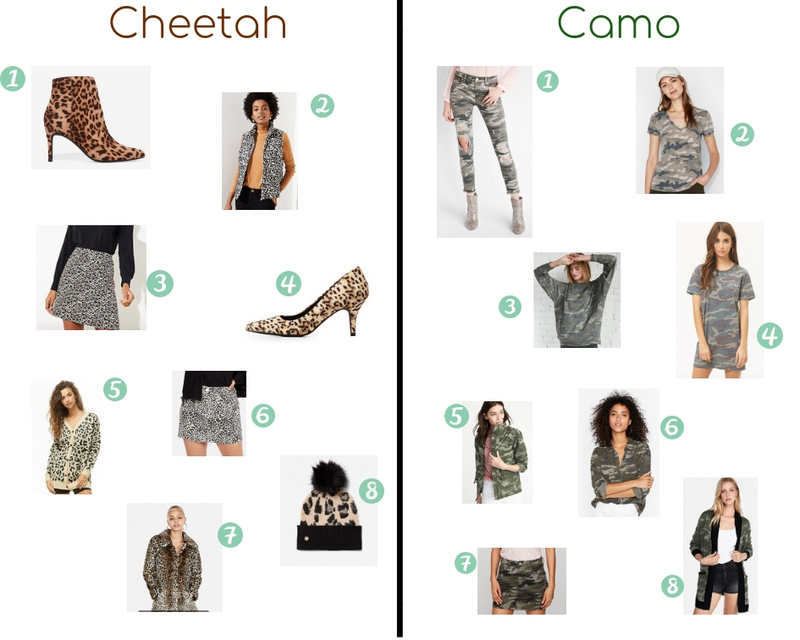 There are two prints that have been dominating the fall OOTDs this year; camo and cheetah. I have always been a cheetah girl (cheetah girl, cheetah sisters. Please tell me you get the reference!) but camo it took me a little longer to incorporate into my wardrobe. Last year I bought my first camo piece from express ( this top) and this year my collection has grown quite a bit! 5 - I live in cardigans when I travel, and this is not boring by any means! Pair it with all black and you have the perfect OOTD!! 8 - Winter accessories don't have to be boring! 3 - I have this in the lighter camo and it is the comfiest thing I have ever worn! It's that time of the year again - Christmas in July, better known as the NSALE! 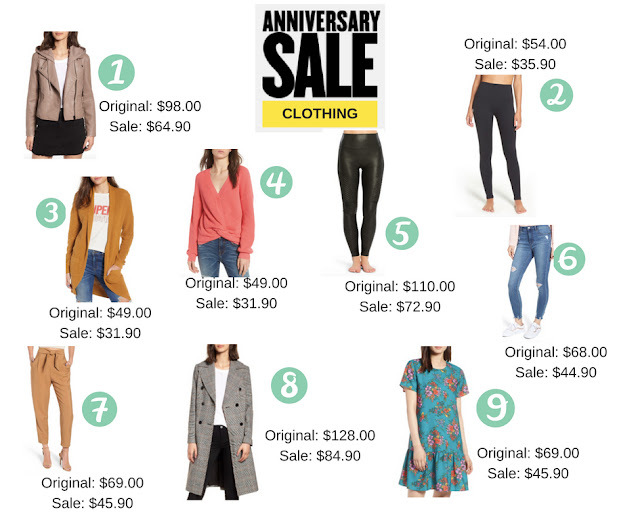 The Nordstrom Anniversary Sale or NSALE is when Nordstrom starts bringing out their fall/winter inventory at discounted prices (there are some summer pieces too.) 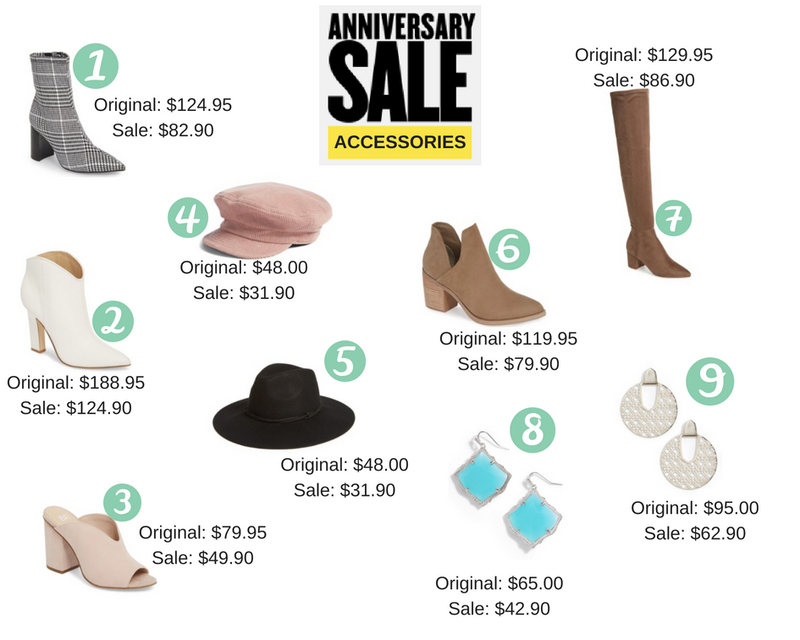 This sale is different that any other because instead of discounting items from past seasons they discount the prices on items for the upcoming seasons. What are the dates of the NSALE? 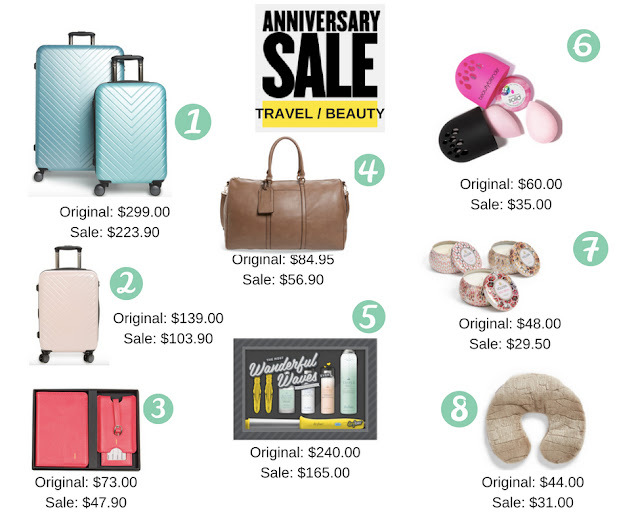 Keep reading if you want to see my top picks from this year's NSALE! It feels like summer already in Texas, we have almost hit 100 degree weather and you get sunburned just by walking across the parking lot (my fellow Texans know that is not an exaggeration.) 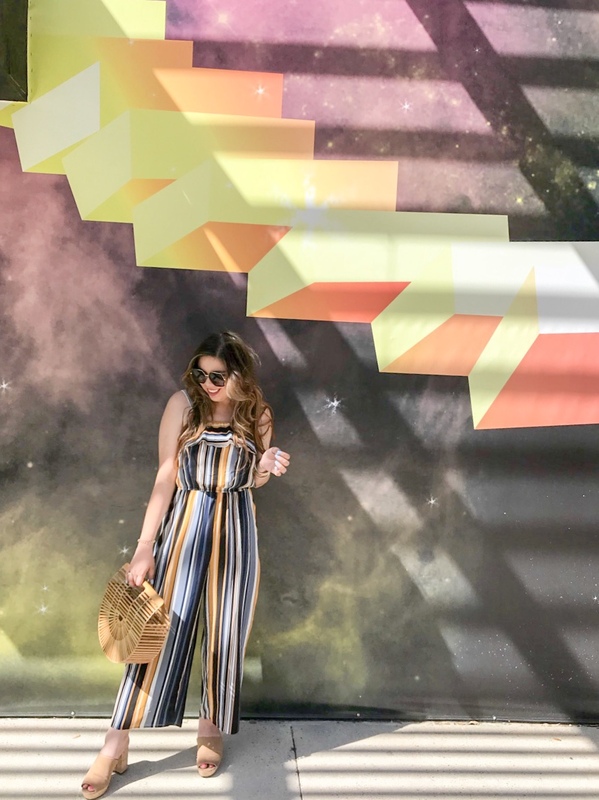 There is nothing that screams summer to me more than combining blue and white in an outfit, throw a stripe in there and you have created the perfect summer uniform. 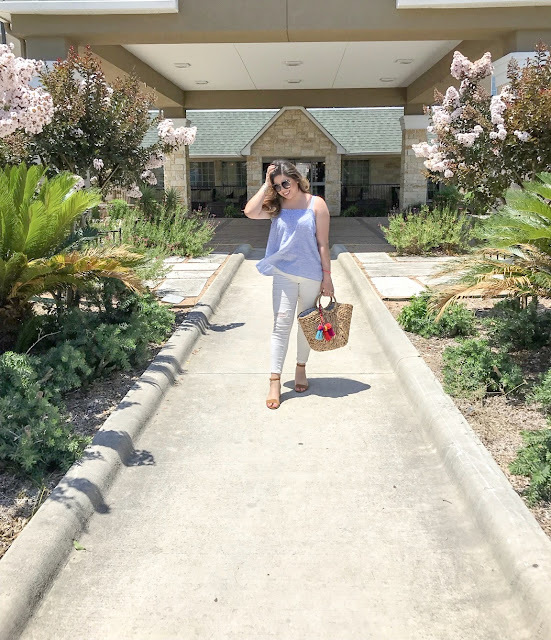 This lightweight top from Old Navy was the perfect piece for running around and not dying of a heat stroke, I paired it with my trusty white jeans, added a pop of color with these Baublebar earrings and finished it up with a statement bag. My bag is from Altar'd State; I got it in store but I couldn't find it online, I linked similar bags below. I hope everyone had an amazing and relaxing Memorial Day Weekend! Last Sunday I wore the most comfortable and flattering jumpsuit I've ever seen, and y'all are not going to believe where it is from... Walmart! Yeah, I found this cute little piece in the most unexpected place and it is under $15! Last Friday I ran into our local Walmart to pick up waters for our weekend road trip and as I was walking to the self checkout line I got distracted by some colorful stripes and of course I had to go check out what it was and I am so glad I did. We were on a rush and I did not have time to try it on but, I picked up my regular size and I happy to report that it runs TTS. It also comes in this other print but I love everything stripes so I had to go with this one! I don't talk about beauty products on my blog very often, but I have to tell y'all lately I have been obsessed with the Lancôme Matte Shakers. They are more like a lip stain than a liquid lipstick but they stay on all day and they don't make your lips feel dry! Another reason why I like them so much is because you can build up the pigment depending how much product you apply and how much you shake them. My favorite shades are Completely Nut (perfect everyday color), Magic Orange, Beige Vintage and Pink Power. It's that time of the month again and by that I mean favorites time! February was a very busy month, we had our annual Valentine's Day trip to Vegas and saw our best friends get married in Arizona. Another exciting thing that happened this month was I dyed my hair a lot lighter than usual and I love it! So a lot of this month's favorites revolve around hair care and travel. 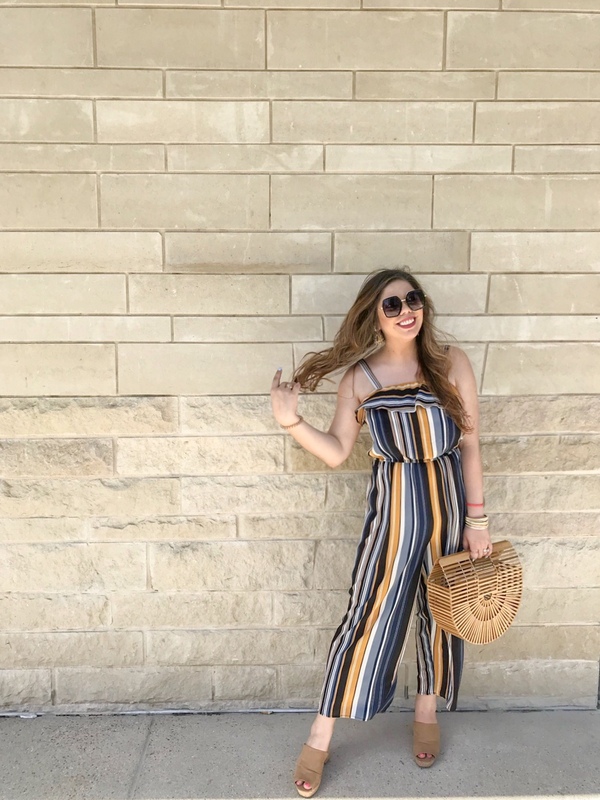 I've also rounded up my favorite looks of them month and you can see the transition from winter to spring weather!